'Tis the season of giving. Buying Christmas gifts is not always easy. Buying Christmas gifts for men is never easy. Get him these! NEW YORK (TheStreet) -- 'Tis the season of giving. Buying Christmas gifts is not always easy. Buying Christmas gifts for men is never easy. Are you struggling with gift ideas? Wondering what the best gifts are this season? In an effort to focus your gift ideas, here's a practical list of Christmas gift ideas for men that are sure to please and can be found easily on Amazon.com. 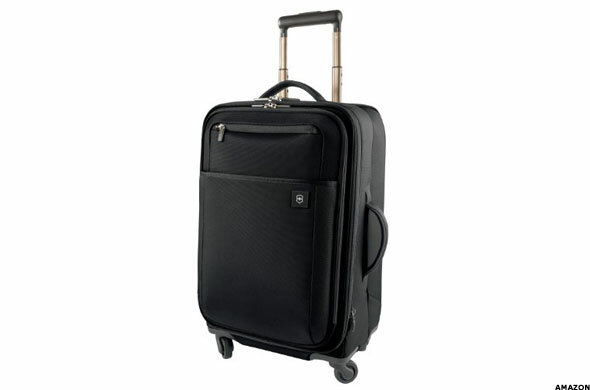 Some men are going away for the holidays, so get them some snazzy luggage. If you're dreaming of a white Christmas, he's going to need something to protect him from the elements. Get him some cold weather gear. Lastly, he also needs to pay for all the gifts that he is sure to buy for you, so why not a wallet? Spacious. Elegant. Easy to maneuver. Each design feature, from security friendly features to fully featured interiors and comfort touch points, was engineered to be ready for anywhere. With over 100 years of experience guiding you, it's hard to go wrong with Samsonite. And the price is right, now $90.74 down from $320. 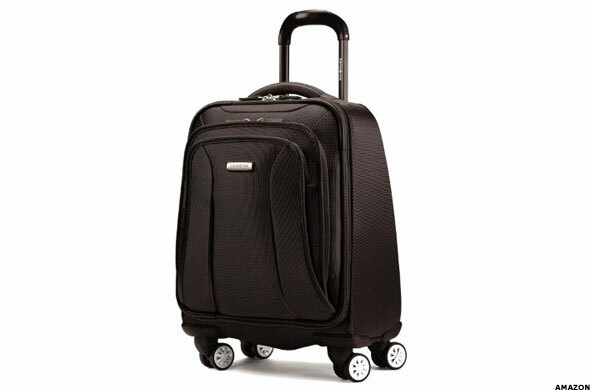 Giving you extra capacity while still meeting U.S. carry-on requirements, this four-wheel upright is the perfect travel companion for a two or three-day trip. A four-wheel caster system adds stability, providing 360-degree maneuverability and producing zero weight-in-hand when rolling upright. Front zippered pocket contains padded protection for up to a 17-inch laptop. If you're looking for something imported, a little more chic, this bag from the original Swiss army knife maker offers a sharp look. 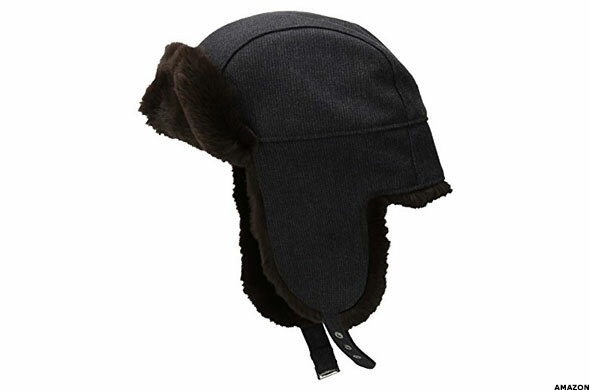 This hat by BOSS in a thin plaid pattern has soft fur lining at the ear flaps, back, and brim. It features a chin strap with a buckle and a small silver logo on the side. The quilted interior ensures comfort and warmth. Imported. 100% wool. It's boss. 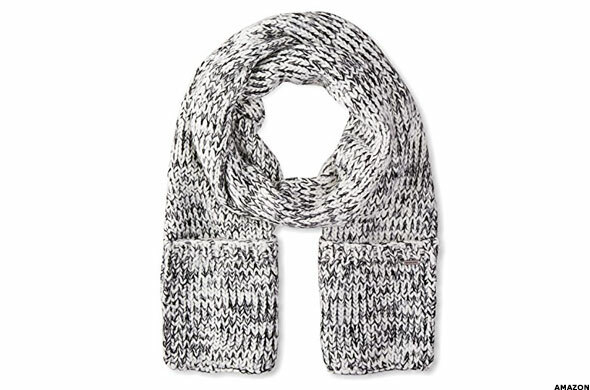 For the slopes or the city, this Cole Haan scarf has texture and character with a ribbed, wide-panel construction. 100% wool. Imported. Signature logo tag at end. 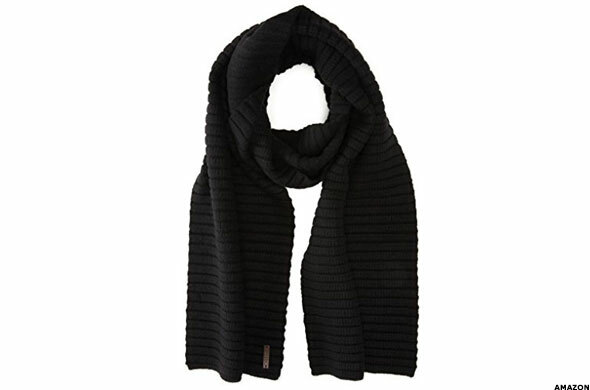 Michael Kors puts it all together with this scarf that gives you options with two knit-in pockets. The white, black and light grey iteration is a bold winter look. 100% wool. Imported. A practical touch pushes these glove ahead of the rest with a conductive thread on the thumbs and index fingers that conveys an electrical impulse to any touchscreen. 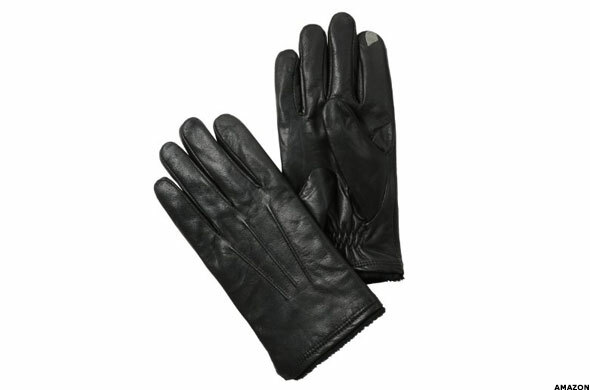 The shell is classic--100% genuine leather, and the lining is 100% polyester--soft, warm and ultra-plush. Something distinctive. 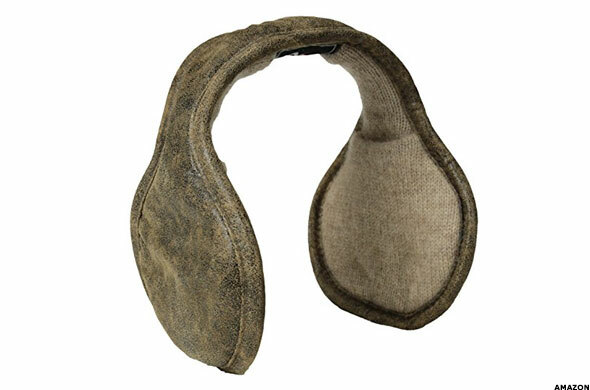 These distressed leather ear warmers recall the classic bomber jacket while a soft cashmere knit lining adds fashion and style. Patented behind-the-head design fits comfortably over your ears, can be worn with hats, without mussing hair. Adjustable click-to-fit frames make them a comfortable fit. Collapsible for easy storage in a pocket, briefcase, or bag. Now show me the money. There are a few directions you can go when it comes to picking a wallet. First, the classic billfold. It never disappoints. 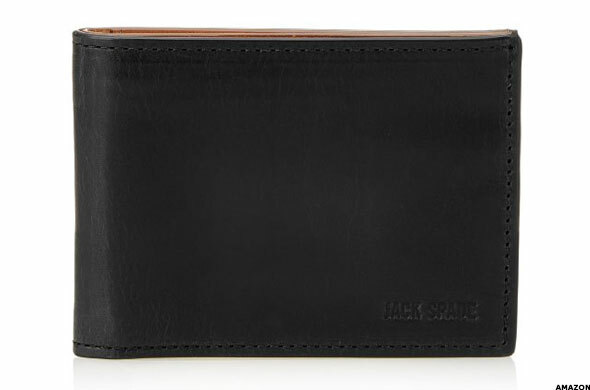 This embossed Jack Spade throwback has six credit card slots, a currency pocket and two slip pockets. 100% leather. Water/gin resistant. Imported. The modern man may want to simplify his wallet. This second option is a popular clip card case, a streamlined design from the Monaco collection, crafted from textured full-grain leather. 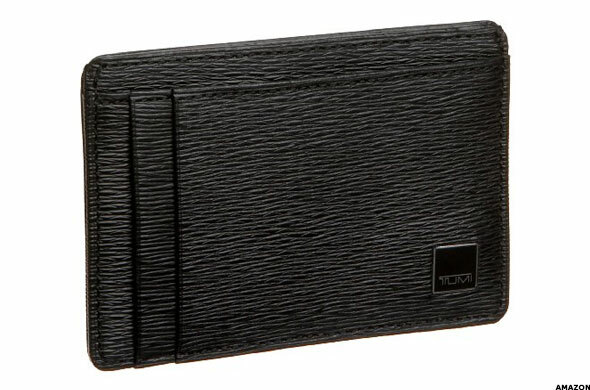 It features card slots on one side and a money clip on the other. Clip some cash, store the cards on the back. Good to go. Some men prefer to make a statement with their wallet. 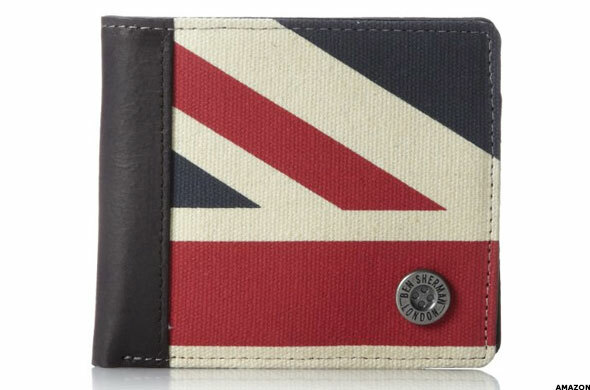 This canvas billfold wallet pays homage to Ben Sherman's British heritage with a striking Union Jack print exterior and leather spine and interior. Multiple card slots and a metal rivet button branding to seal the deal. TheStreet, Inc is a participant in the Amazon Services LLC Associates Program, an affiliate advertising program designed to provide a means for sites to earn advertising fees by advertising and linking to Amazon.com.